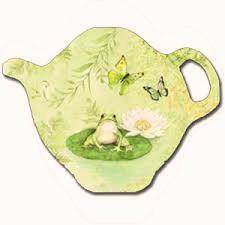 This sweet frog is waiting to help you hold your tea bag! Durable plastic makes this a perfect accessory. Measures approximately 3" x 3.5".